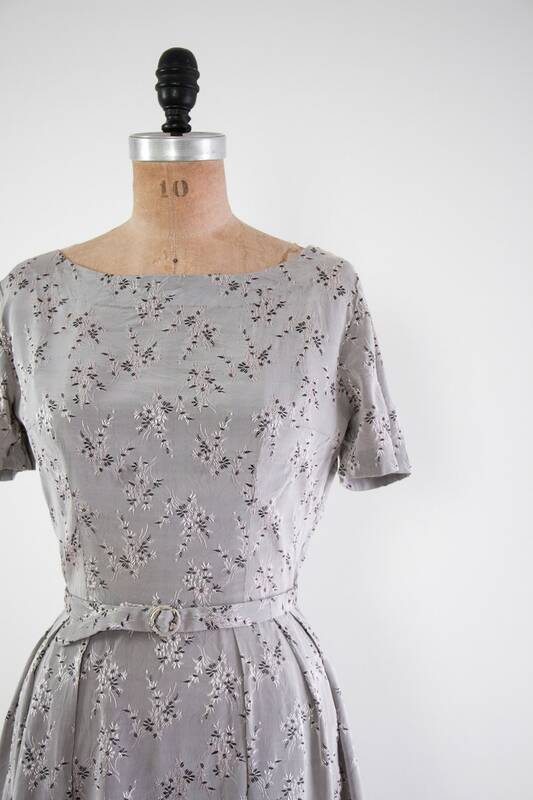 Vintage 1950s floral dress. 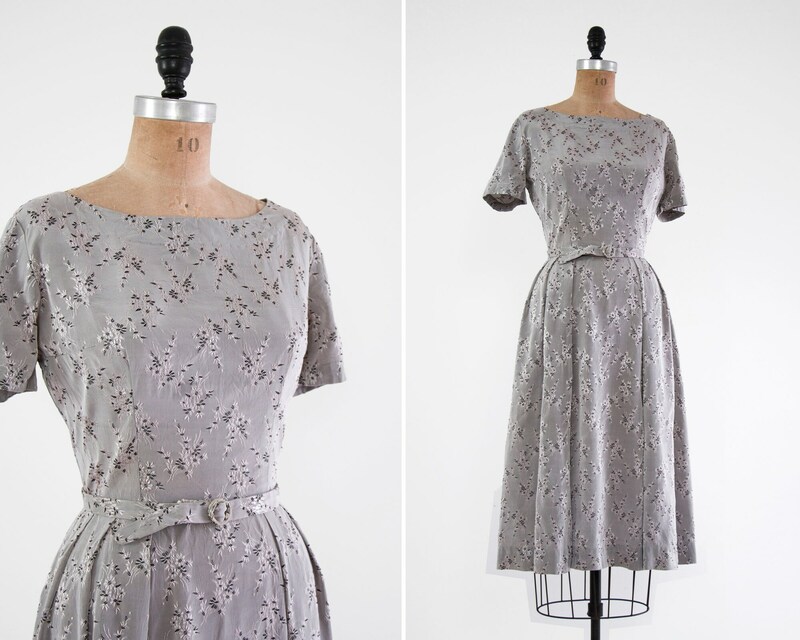 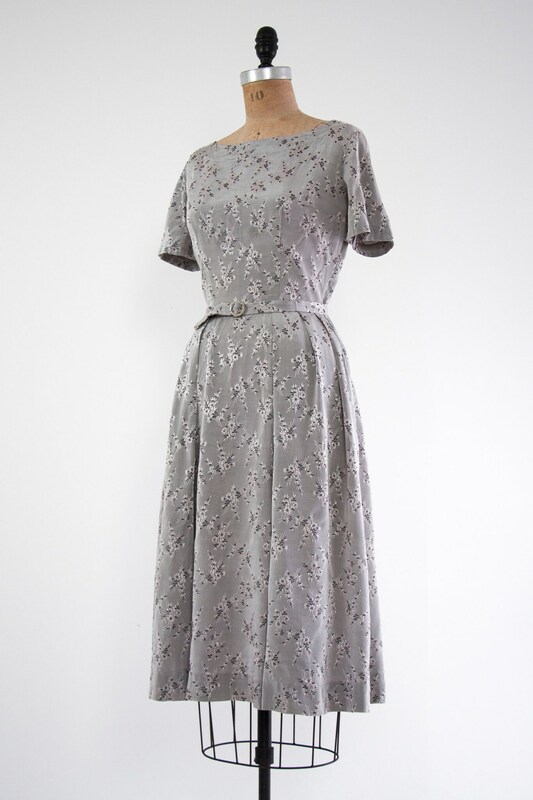 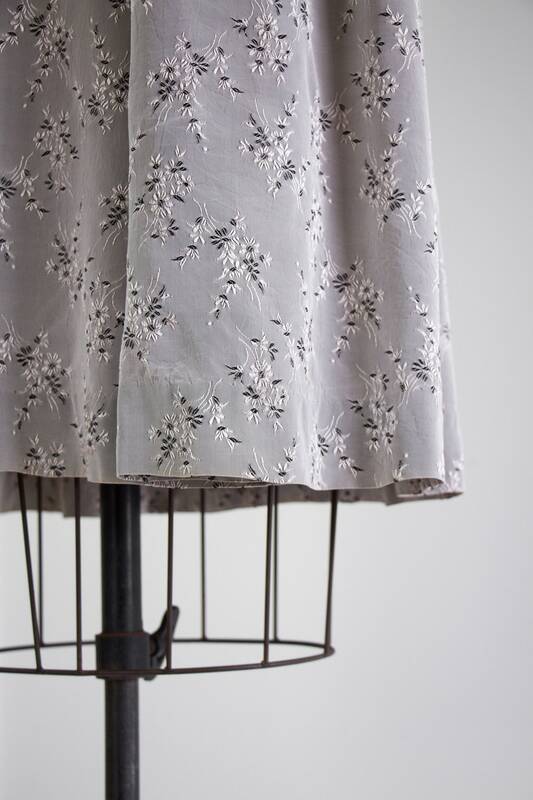 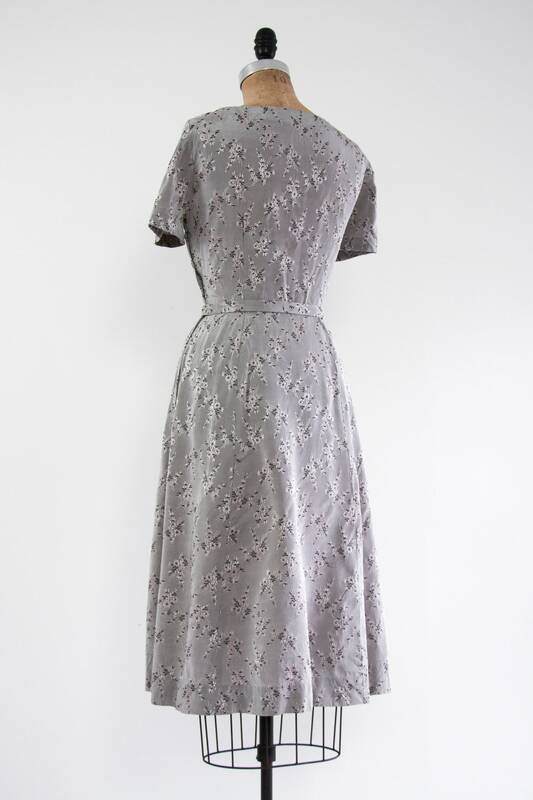 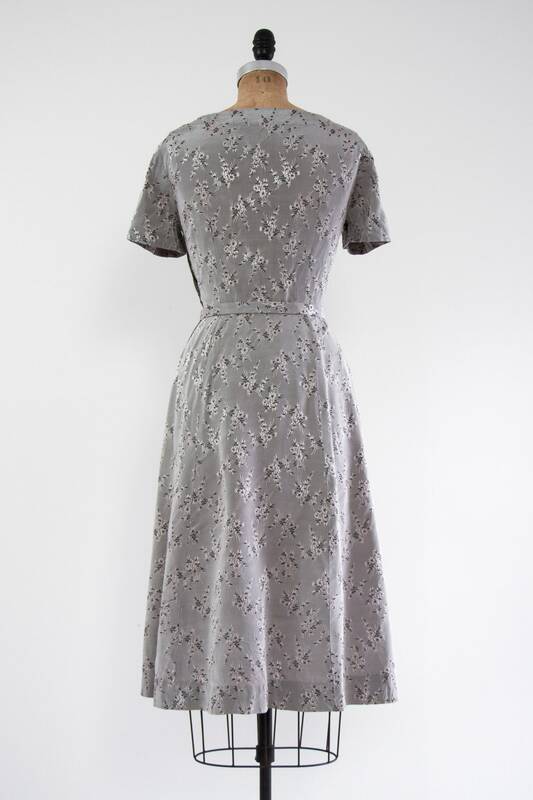 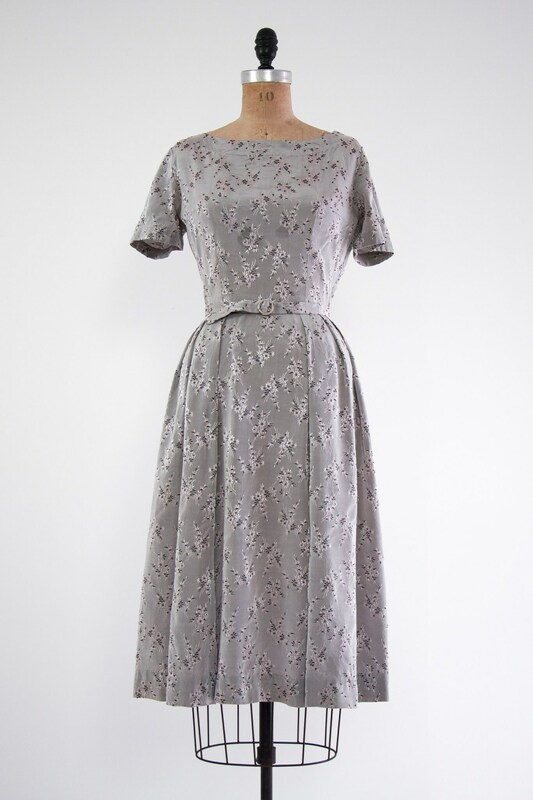 Made from a lustrous grey floral jacquard. 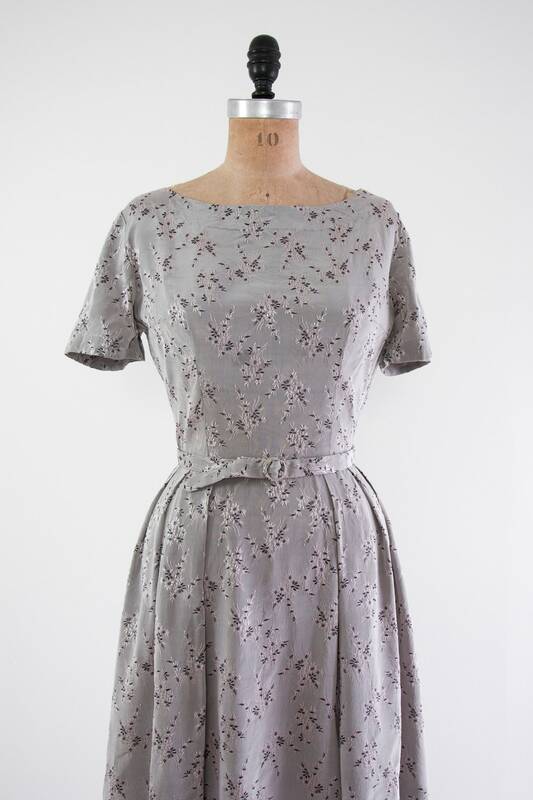 Has a fitted bodice, full skirt, and side metal zipper. 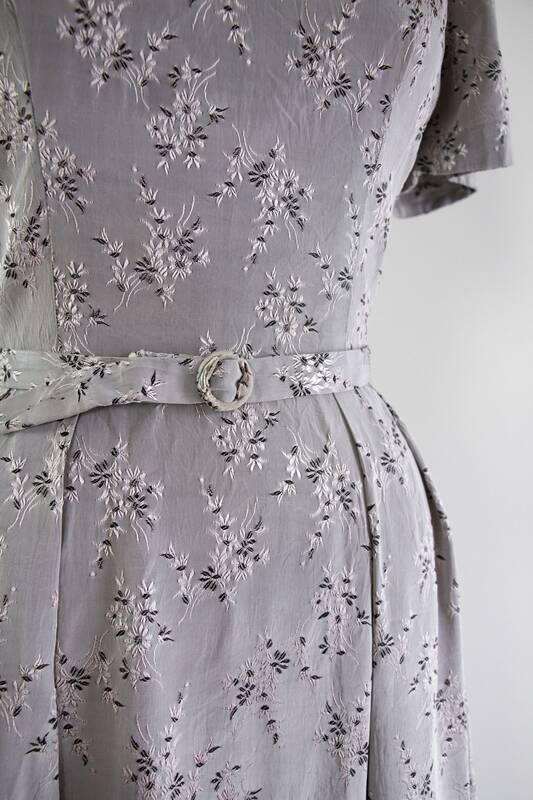 Comes with matching belt.